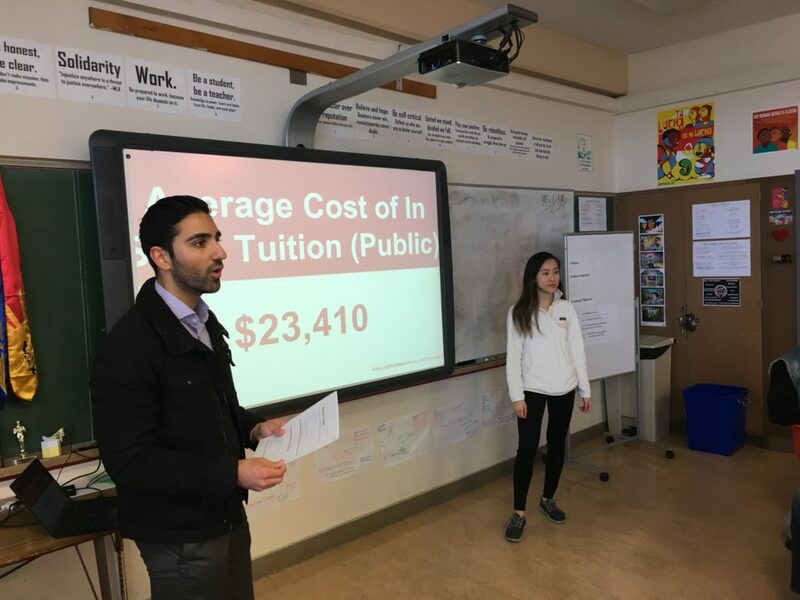 Spearheaded by Union Bank volunteers, Davee Schulte (San Diego) and Evelyn Chan (San Francisco), Education First wanted to look at new ways to inform low-income students about its scholarship and college coaching opportunities while giving them something more. The idea: Meet with students in their classroom just prior to the scholarship deadline. Discuss what they needed to know financially before heading to college while also sharing our scholarship and coaching program. We discussed the value of a degree, the costs of college, and how best to save overtime. The 30-minute interactive presentation was piloted in San Diego, San Francisco and Los Angeles in seven class periods, across 4 schools. Here were the results: The visited schools had over 50% higher application submissions in the last two weeks prior to the application deadline compared to schools not visited. Education First set an all-time record in the number of applications it received. A 25% increase from the previous year. Conclusion: It’s not rocket science. The more we personally engage students in their college journey, the more actively they will participate. Teachers had great feedback and invited us back. We look forward to expanding this program next year.